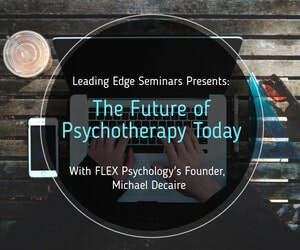 A modern psychology and psychotherapy practice can accelerate client gains, reduce your workload, and increase the financial stability of your practice or organization. FLEX is here to help you step into the future now. FLEX prides itself on being a structured and technology anchored practice that obtains best practice and positive outcomes for our clients, while maintaining a growing business that is both efficient, environmentally friendly, and scalable. The FLEX team is excited to offer program evaluation, consultation, and trainings to our psychology and psychotherapy peers who are feeling overwhelmed with starting up, growing, or maintaining your practice. FLEX provides consultative services to a variety of health sector technology startups that service thousands of clinicians across the globe. Contact us now to learn how FLEX can help accelerate your startup, connect with clinicians and consumers, and become a valuable advisor as your corporation grows.